Tish Harcus invites me to stick my finger in a divot in the brick. Visitors always want to see the bullet hole. 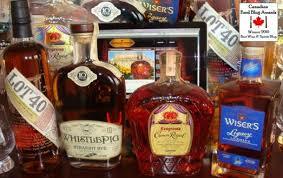 As Canadian Club’s “brand ambassador,” it’s part of Harcus’s job to educate people about the whisky and its history. In the basement of the Canadian Club Brand Centre in Walkerville, Ont., I learn that booze mogul Hiram Walker built this hokey copy of a Florentine palace in 1894 to command a view of the murky, brownish Detroit River. On the other side lay the United States, Walker’s homeland and the country that bought most of his whisky. The present-day parent company, Beam Global, is keen to play up the bootlegging angle. Harcus talks about how gangsters including Al Capone used to meet here to talk business. These discussions were evidently not always civil, hence the hole in the wall. 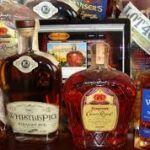 Canadian whisky has long been associated with its role in Prohibition and otherwise misunderstood, or even maligned as cheap swill for mixing with soft drinks. In popular myth, Canadian whisky is the stuff that washes up at Nucky Thompson’s feet in HBO’s Boardwalk Empire, seldom thought about as a quality product.